It's Friday. It's Hari Raya, a public holiday for our Malay friends to celebrate their new year. Selamat Hari Raya! It's a long weekend. And baby woke up with a fever. Sigh. I'm not too sure when she had fever. When she woke up this morning, she was grumpy and when I touched her. Woah.. Burning. I quickly grabbed the ear thermometer. Omg. 39.6 degrees. Scared me! I quickly prepared her bath in room temperature water and bathe her. Hoping to bring down her temperature. Then pasted a cooling pad on her forehead. Then we fed her paracetamol. Temperature fluctuating between 38 and 40. Worried. At a point, she vomited out all the milk. Sigh. My poor baby. I kept sponging her. But it kinda disrupted her sleep. She's coughing a little too. Worried. Then her fever hit 40.4 and she started to look restless and lethargic. Hubby got worried and we took her to the hospital. She was 39.8 degrees when registered. Then the doctor went through the examination, then got the nurse to feed her paracetamol and we were to sponge her and wait for an hour for the medicine to set in. Hmm exactly what we did at home. After an hour, we took her temperature with our own thermometer. 38.4 degrees. Then we got called in and the doctor measured with her faulty thermometer (37.1) and went along with the figure we gave her. And we were educated. 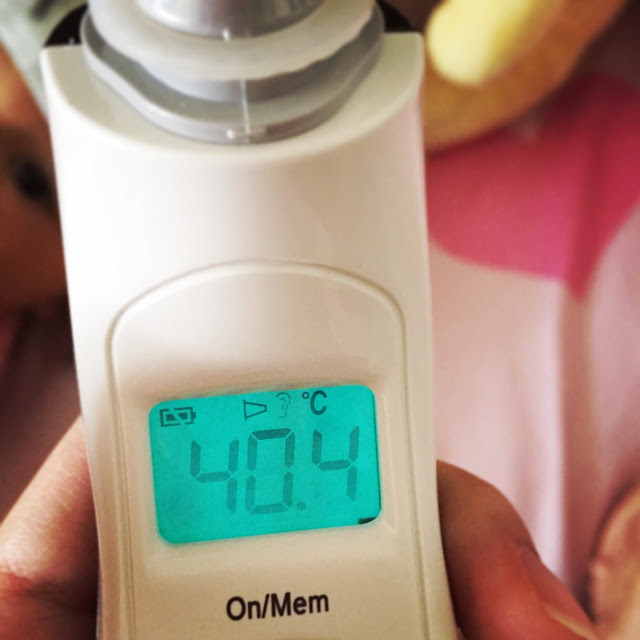 When a baby has fever, there are peaks and dips. As long as the baby is still eating/drinking at least half of the usual and is still active at the temperature dip and pees as usual. It is still fine. Even if the thermometer says 40 degrees. Ok. I'm shocked. Oh well. I just got branded as a kiasi kiasu mommy. Nvm. We were both worried. And now we know. 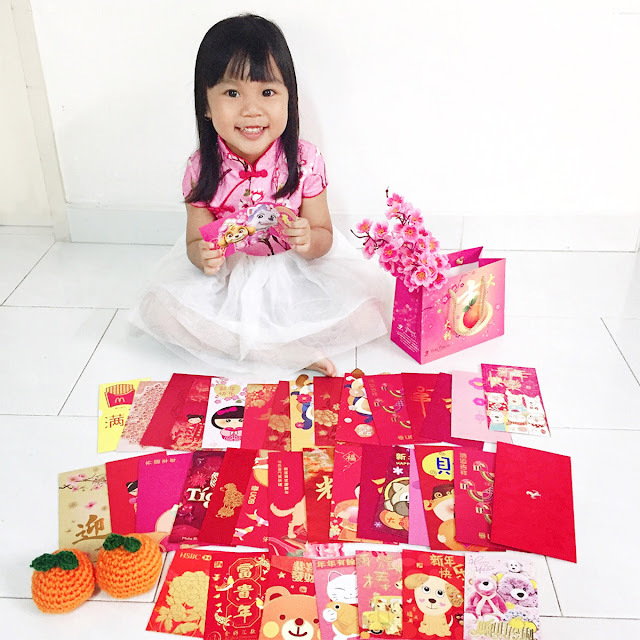 Paid over $100 for things that we can do at home and a lesson learnt.